Of late, my family has been obsessed with this dish. Whenever we eat out, my son would insist on ordering this Dong Bo Pork. Legend has it that this dish was named after the famous poet, So Dong Bo from the Song Dynasty. If the legend is true, So Dong Bo was certainly a great connoisseur of food besides being a very famous poet. This dish seems to be in popular demand in my family. I decided to make it at home. 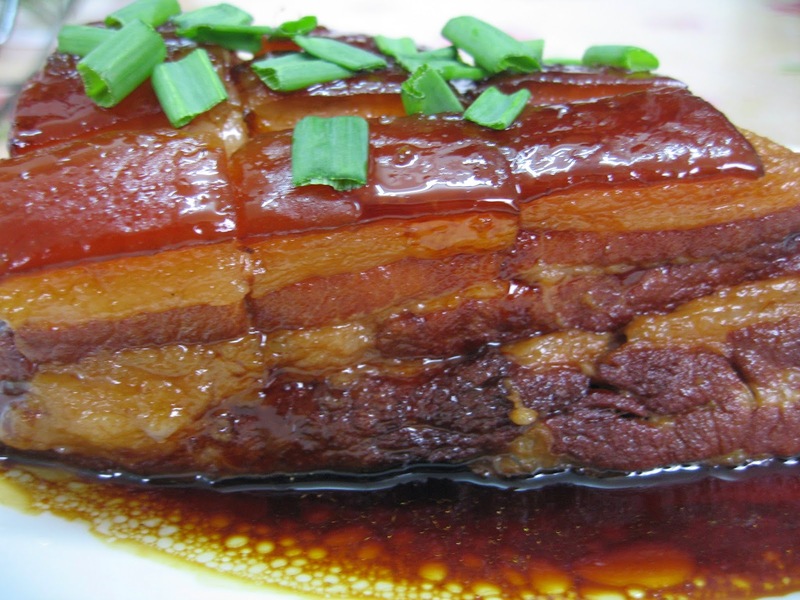 I had a hard time deciding which recipe to follow as there are so many recipes available online and there were a few variations to making this famous Dong Bo pork. 1. Bring a pot of water to the boil and scald the pork belly for 5 minutes. Drain. 2. Cut spring onions into sections and line the base of an earthen pot. 3. Slice ginger and sprinkle the ginger slices over the spring onions. 4. 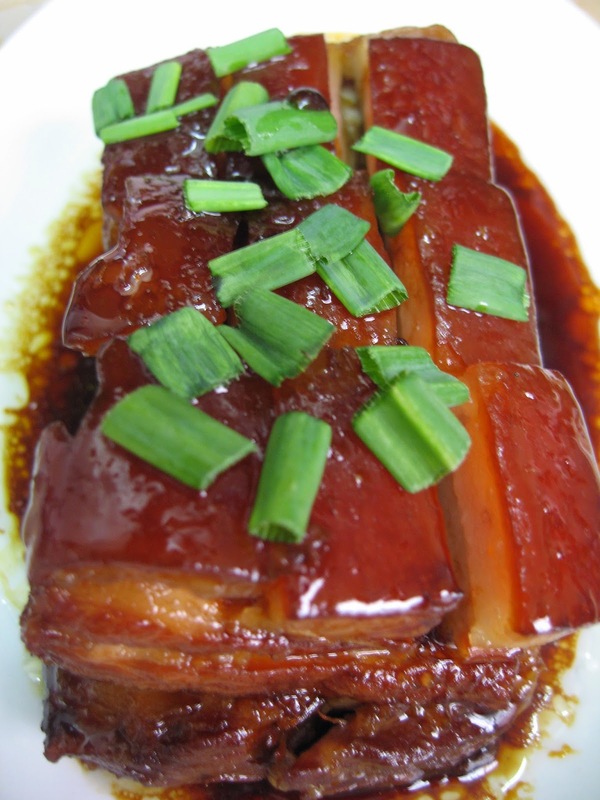 Place the pork belly onto the ginger and spring onions, skin side down. 5. Pour in the soy sauce and sugar. Then add wine and water. Make sure the pork is almost covered with water/liquid. 6. Bring the pot to the boil over high heat. Once it boils, reduce to low heat and simmer for about 2 hours. Need to flip the pork over halfway and simmer until the pork is tender. 7. 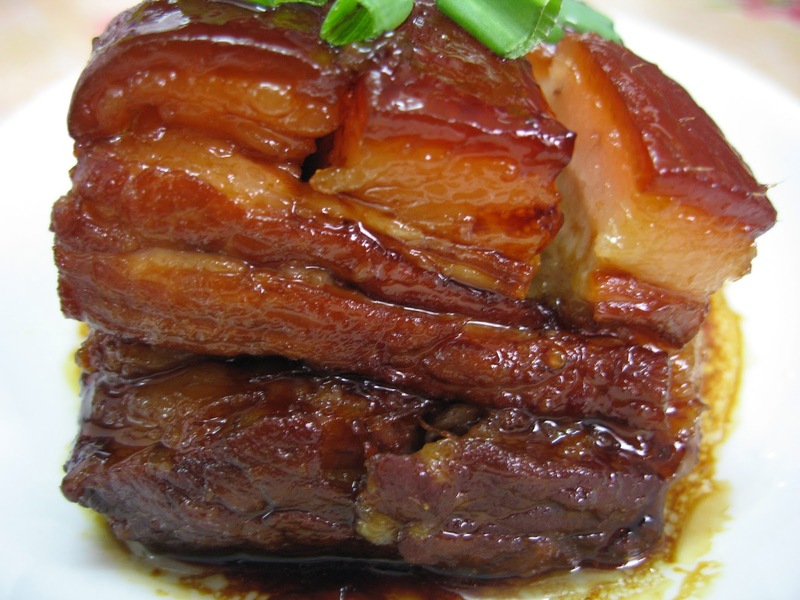 Remove pork and place on a plate and steam over high heat for 30 minutes. 8. Pour gravy over pork.